Do you have a Non-Profit dear to your heart? We put the FUN in FUNd-raising! We can co-ordinate a FUNd-raising Cruise for you! Sail with us to ALASKA - Round Trip Seattle! Inside, Ocean-View & Balcony cabins available. from the Port of San Francisco. Hawaii, Alaska and the Mexican Riviera. Even More Sailings available in 2020. This is a do NOT miss! . The Travel Gals Specialize in Personal Service. There are NO fees for our services. 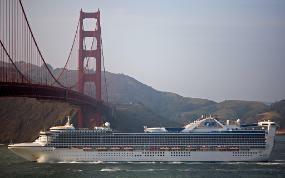 There are so many cruises and vacation packages available that we have access to. that have been specially reserved by The Travel Gals.